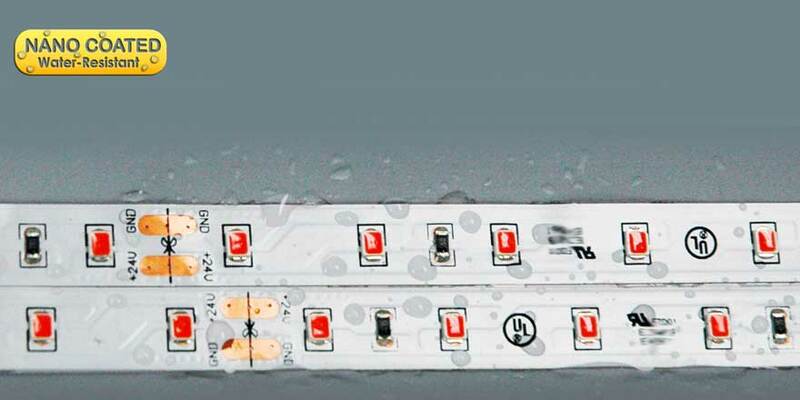 New LED Grow Strip™ II with clear Nano coating that protects the LED in damp and wet environments. 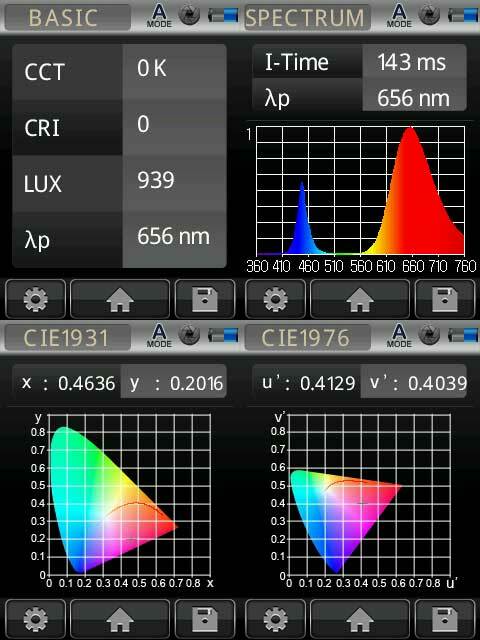 Nano coated LED Grow Strip™ allows the full optimized LED light Spectrum through without or minimal light loss. 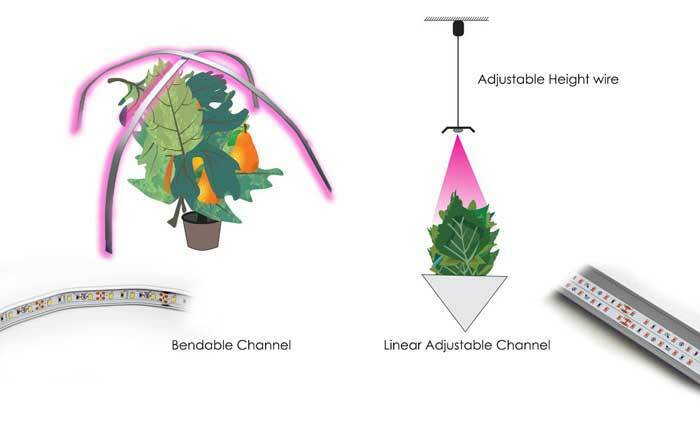 Up to 40% brighter than our previous model, the flexible and small Grow light is ideal for use in horticulture applications where lighting can be precisely directed for optimal plant growth. 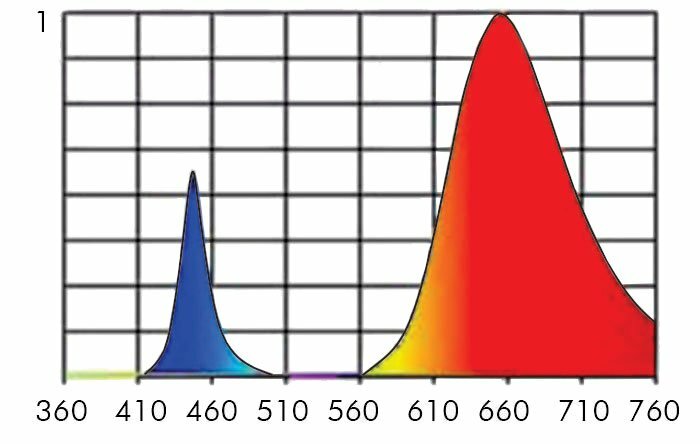 The Super Bright LED Grow Strip™ features LED technology that has an optimized light spectrum most favourable for plant (blue) and Deep Red. The Grow Strip™ can be used for all stages of plant growth, especially the vegetative and flowering stage. 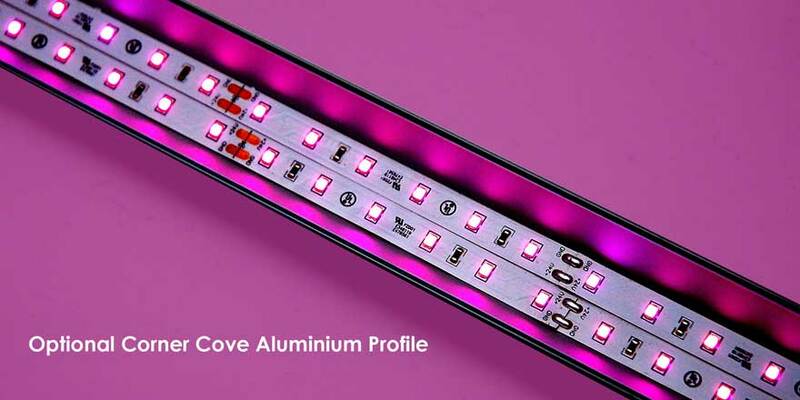 LED Grow Strip can be used as a primary lighting or as a supplemental lighting source or supplemental lighting in dark areas in an indoor grow room environment. The strip comes in 24VDC and produces very little added heat, reducing the cost of cooling. This saves energy over standard HPS lighting solutions and reduces cost of operations in indoor grow operations. With conventional indoor lighting such as Metal Halide, compact fluorescent and LED, the rigid light fixture is on the top of the plant projecting the lighting down onto the plant with great light loss and light efficiency at the side and bottom of the plant. However with the LED Grow Strip™ can shape around a plant to deliver lighting in all areas with the optional Bendable Channel and Linear adjustable Channel system. The strip can be cut at marked intervals and shaped to create different grow structures for side lighting plant material. This delivers maximum power and precise lighting to areas that are difficult to reach with traditional light fixture. 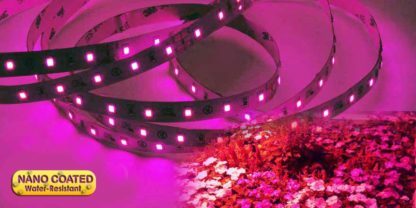 Trademark Notice: LED Grow Strip™ is a registered Trademark of LED World Inc.
24VDC operation, reduces hazards, UL/CSA Standards, ETL listed (indoor use only). 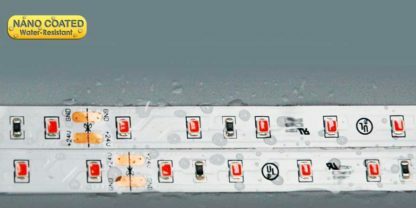 IP64 rated for use in damp locations, indoor use. 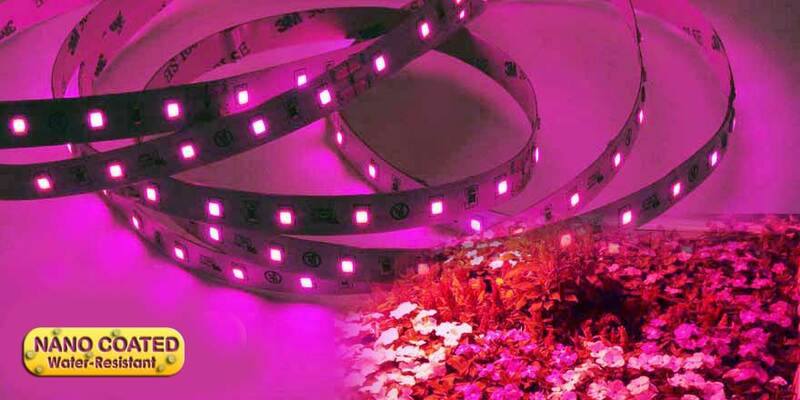 Why LED Grow Strips™ are better for plants! LED Grow Strip™ light optimizes light output by not outputting the Green color range which plants little use for their growth. This saves unused Light Energy compared to other traditional indoor lighting used for plant growth. Female Connector Cord connects the LED Grow Strip to Power Supply with Molex connector. Female Connector HH-F05 is the 20 AWG and available in 0.5 meter (1.64ft) length. LED Grow Strip Extension Cord extends the LED Grow Strip to LED Grow Strip connection. 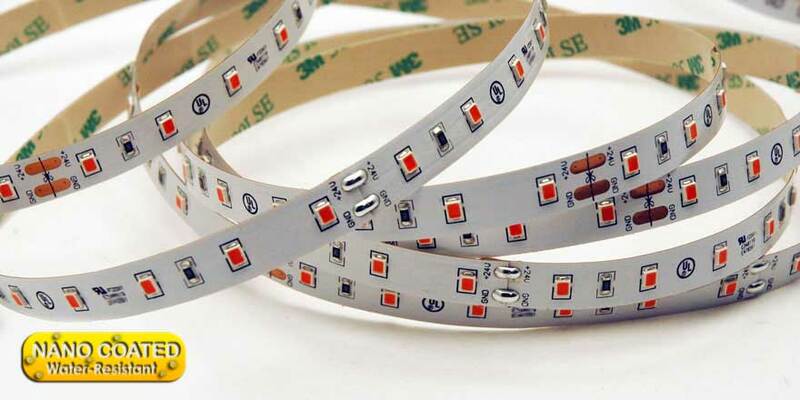 LED Grow Strip Extension Cord is the 20 AWG and available in 1 meter (3.28ft) length.